FULLY INDEPENDENT, NOT-FOR-PROFIT CORPORATION, ESTABLISHED IN 1982 TO CARRY OUT HOUSING DEVELOPMENT, PROPERTY MANAGEMENT AND RELATED SERVICES IN WESTERN NEW YORK. GVRPC ALSO ADMINISTERS HOME REPAIR PROGRAMS TO HELP PEOPLE OF MODEST INCOMES REPAIR THEIR HOMES. GVRPC ALSO OWNS AND MANAGES OVER 300 ELDERLY, DISABLED, AND FAMILY APARTMENTS. 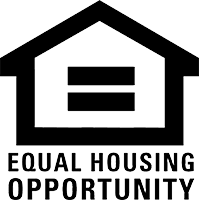 Income, other eligibility and occupancy requirements may apply. Basic rents range from $630 - $775 depending on unit. A limited number of rental subsidies are available. Accepting applications NOW!! Download one or call the Main Office. Genesee Valley Rural Preservation Council, Inc.